Today’s guest post from Seb Atkinson looks more closely at customer advocacy and how it is viewed by higher performing companies. In business, some companies consistently operate at a level of high performance, others seem to do just enough to get by, and still others that struggle to remain in business. What does the high-performing company do that sets it apart from the others? Why does the high-performing company succeed while others barely get by or struggle terribly? Perhaps the most important difference is customer advocacy. The concept of customer advocacy goes well beyond the traditional fee-for-service mentality. In the fee-for-service way of doing business, any forethought given to the customer concentrates solely on getting customers through the door. Once the service has been provided and the fee paid, the customer then becomes an afterthought just long enough to get them out the door and on their way. It is a very short-sighted mentality that does not lend itself to consistently high performance. Customer advocacy goes beyond fee-for-service to develop relationships with customers. One of the marks of customer advocacy is how business owners and their staff view customer relationships. I guess for me, it was a result of the fact that we loved the clients so much. To lose a client was like a bereavement. High-performing companies love their customers to the extent that relationships become personal. Gaining a new customer is like gaining a new and trusted partner; losing a customer is like losing a friend. When business relationships are built with this level of commitment, customers become as loyal to a business as a business is to its customers. This is the foundation of consumer advocacy. Another important element of customer advocacy is fostering business that generates value. Generating value is a two-part process involving both business and customer. On the business side, high-performing companies find ways to channel everything they do into presenting value to their customers. This can be accomplished in a broad sense by utilising ‘value chain analysis’. Value chain analysis looks at every aspect of a business, including aspects that are both directly and indirectly customer-related, and fine-tuning those, so each one adds value in some way. For example, a company’s primary product or service provides its direct link customers. That product or service must continually be adjusted and tuned so that it offers maximum value. On the other hand, human resources is not directly customer-related – yet it is no less important to overall success. Human resources must be focused on supporting workers in ways that encourage them to do their absolute best for customers. In so doing, HR is adding value to the business. Adding value on the customer side of things means taking steps to ensure that customers feel they are ‘part of the family’. A good example is to use social media marketing to develop ongoing interaction between the company and its loyal customers. Through such interaction, businesses can keep customers in the loop, engage with them directly, immediately address concerns, and so on. Although loving customers and generating value are both important, neither one is of any help if management and staff are not able to successfully implement strategies. It’s one thing to sit in the boardroom and talk about new strategies for improving customer advocacy; it is an entirely different matter to implement those strategies effectively. And, unfortunately, implementation is where far too many companies fall down. High-performing business do not allow implementation to be bogged down in politics, workplace culture, or old ways of doing things. Company culture must be nimble enough to evolve over time while management must be flexible enough to be willing to accept change. To that end, it is also very helpful to adopt a collaborative, team-oriented, atmosphere among staff. Successful businesses know customer advocacy requires staff that share the same vision. Nick Hewer credits the success of his own business, in part, to the attitude he and his staff take toward clients. However, he also says that another big part of his success is that he has always looked after staff. It means he has taken steps to ensure his staff know they are valued. He has made sure they know their contributions to the company are vital to its success. High-performing companies look after staff by treating them very well. This includes offering competitive pay, encouraging a good work-life balance, and maintaining flexibility and openness in the workplace. Hewer is also an advocate of engaging staff personally, in order to encourage them to personally invest themselves in the business. Staff who are well looked after will almost always turn around and look after their clients in the same way. Happier employees work harder, are more loyal, more effective and contribute more to the business. In turn, happy employees deliver a better service to customers. As a result, a big part of customer advocacy is staff advocacy. Seb Atkinson helps businesses generate more sales and leads online by improving customer experience and devising creative marketing campaigns. His work has been nominated for The Digital Entrepreneur Awards and The Drum Search Awards in 2015. Great piece on customer advocacy. Many articles focus on how to cultivate customers to do something for companies — referrals, case studies etc. I believe that customer advocacy is a strategic and competitive advantage for those companies that do it well and consistently. Customer Advocacy is about action and includes but not limited to people, engagement, interactions and technology. Thanks for your comments. I agree, customer advocacy is a strategic advantage for those companies that take is seriously. Have you written other pieces on customer advocacy? I’m specifically looking for sources of who is doing customer advocacy well in the enterprise and commercial space. I have lists of the top companies in Customer Loyalty. I think this is a good starting point for customer advocacy and who’s doing it well but was hoping to find a similar work done on customer advocacy. 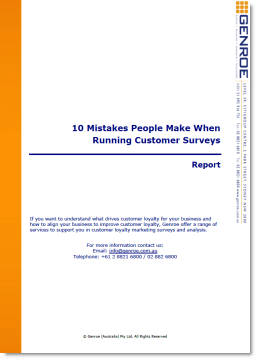 Have you seen any data related to customer advocacy?